We are available 24/7 to assist you. Contact our Sales team today. 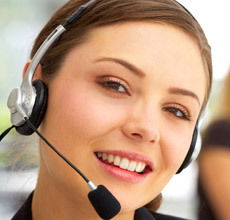 We have a team of highly trained professionals ready to assist you 24/7. We're ready to handle any support request you can throw at us. Visit our community center to get quick answers to your question. Submit a Support Ticket today. You can also click here to Email us your support ticket today. What's the difference between Admin Support and Tech Support? 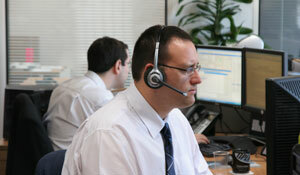 Admin support was introduced by NextSharePoint.com to provide high IT support to our customers. We got feedbacks from a lot of our customers who wanted our consultants to assist their IT departments on an hourly rate. These were customers who didn't want to go through the hassle of hiring a full time consultant on site. Consider our Admin Support like your business's peace of mind. Techincal Support is free for all NextSharePoint.com Registered members. However, Admin support is only provided as an ADD-ON to your product. Absolutely YES. You don't need a PayPal account to be able to pay with your credit or debit card. When our System redirects you to PayPal, just select Pay with Credit or Debit card. PayPal is the most secured means of online money transactions. We don't recommend entering credit card information in any other website. I’m new to Cloud Hosting, will it be difficult to setup? If you are a good System or SharePoint Administrator, this will be very easy. However, if you are not good with neither Server Administration nor SharePoint, we are still here to make the process as easy as 1-2-3. Just contact us and we will walk you through the entire process. What is the cost of SharePoint Cloud Server? ​There are no additional costs for the SharePoint server above the cost of the Cloud Servers, which start with the 4GB size for the Windows Cloud SharePoint image with SQL Express and 8GB size for Windows + SQL Standard Cloud for the SharePoint server with SQL Standard. For SharePoint 2013, due to increased resource requirements only the 12GB and 25GB sizes are available. Yes we do accept PayPal. We generally use PayPal as our primary merchant. You can use credit card as well. Just talk to one of our sales associates. Absolute Not. All plans are Pay-As-You-Need. If you need more resources, then upgrade, if you don't then you can downgrade at any point in time. Our prices are some of the lowest in the industry. How am I billed for NextSharePoint.com services? We generally bill for hourly usage each month on the anniversary date of the account creation. Charges on invoices are based on service usage since the last invoice date. Payments are charged automatically to a credit card we have on file.